You may be wondering what being a good moderator has to do with a blog. Most people would think of a moderator as either someone who rides herd over a forum or even a presidential debate. In this context I’m talking about moderating your blog comments. We’ll look at two functions — reviewing the comments to decide whether they should be approved or spammed and replying to comments to keep the discussion going. First, not moderating comments at all is a mistake. If you let your comment stream get filled up with spam, people aren’t going to take the time to read the comments or to respond to them. Even with spam filters like Akismet, you should take the time to moderate comments by hand. In your Settings > Discussion options go to the section that says “Before a comment appears” and select “Comment author must have a previously approved comment”. That way all new commenters will go into moderation but your regular commenters will get approved immediately. The second and more common mistake is taking too long to moderate comments. If you don’t get someone’s comment up and online within 12 hours, chances are they’re just going to lose interest. When someone responds to their comment, they’re not going to come back to participate. They also likely won’t comment on your content again in the future. You can get an email when a comment goes into moderation or is posted automatically by a previous commenter. Again go into your Settings > Discussion options and check both boxes next to “Email me whenever”. A bigger problem is wading through all the comments in the Spam area if you have a spam filter like Akismet or the Moderation area. Many bloggers just automatically delete everything in the spam area but even Akismet can make a mistake and you then have lost a potential new member of your community. Wading through all the comment spam is very time consuming. If you want to save time, then you need something to help weed out the robot spam. I use WP SpamShield. If you want to cultivate a community of avid readers, you must respond to your comments. The type of person who takes the time to respond to your post in a comment is also the type of person who’ll share your content on social media or backlink to you from their own websites. Furthermore, people respect bloggers who take the time to respond to comments. When someone scrolls down and sees that you actually answer your commenters, they feel like you actually care about them. They’re more likely to read and more likely to comment as well. Get in the habit of responding to every single comment on your site. This is what builds audiences and followers. Another great idea is to add the capability for commenters to receive an email notice of subsequent entries on a particular blog post which may encourage them to keep the discussion alive. You can add that functionality with a free plugin called Subscribe to Comments. Why not put me to the test? Leave a comment with your opinion. I look forward to sending you a reply. Good points about moderating comments Christine! Some spam comments can be tricky to detect, but leaving them there makes the whole blog look bad, in my opinion. No matter how informative the article, if there are a bunch of spam comments on it, the blogger’s credibility suffers. I agree especially if the spam is full of links, nonsense, in a foreign language or wants me to buy Ugg boots :D. I think that about covers the most popular spam comments. The spammers are not a very creative bunch. p.s. Happy Monday (or maybe not) Lol. You’re right about the large sites with multiple suthors and guest authors. I would be interested to hear their take on the decision about how to handle comments. It must be a massive task. I totally agree with this. The relationship between a blogger and a reader is knitted by the comment posts. 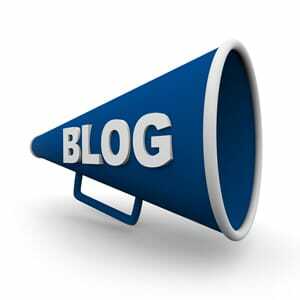 The way the blogger treats the post will determine the relationship. I love how reading the comments create a safer environment to the blog post. Also, it gives the reader a reason to improve the comments the next time he/she will post a comment.